Shot of the Day – Paella | Aren't We All Just Tourists Here? One of the wonderful about traveling in Europe is the open air markets on the weekends.. You can find anything and everything from a tasty snack to a new pair of shoes.. Books, clothes, fresh vegetables .. even arts and crafts.. 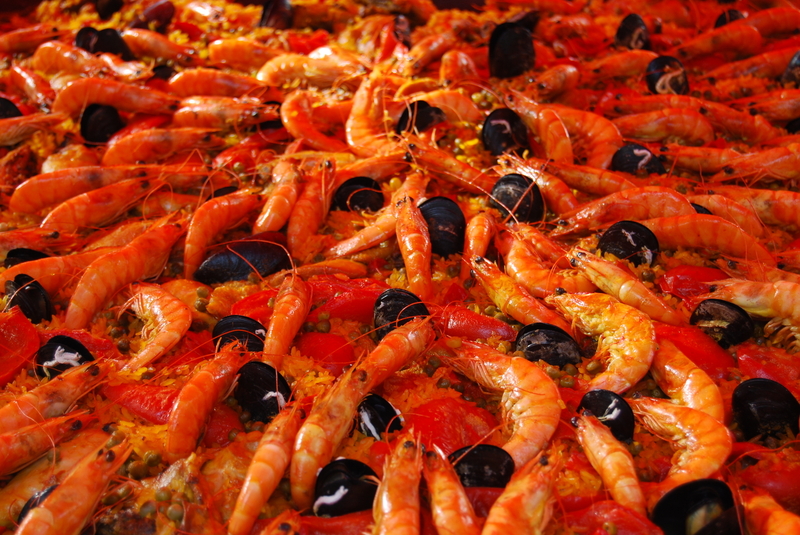 This entry was posted in Photography, Travel and tagged food, mussels, paella, seafood, shrimp by Steven. Bookmark the permalink.